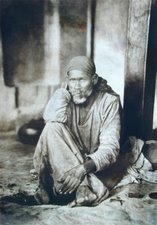 Yesterday a post was written about Sai Baba and gold. Actually it has little bit of history of my experiences in it. 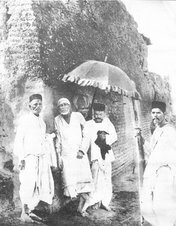 Most of the writers time is devoted to the divine love of Sai Baba. 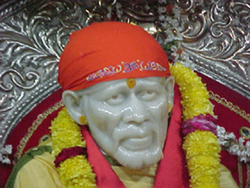 Service to His picture and reading the sacred text Sai Sat Charitra which also emits so much love and grace of Baba. 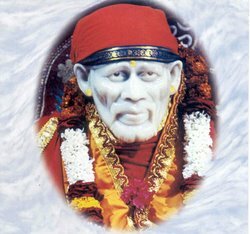 Writers business is to love Baba and put attention on His divine love and grace, rest about the writer is Sai Baba's business :). "Casting the burden on me, he who truely becomes one with me, of him i become controller regulating bodily functions." (Getting off track to the theme of post for a while )All four books written by Viinnyji are great books. Sai Baba devotees must read these books. So much hard work has been put by this lady with the divine love of Sai Baba, to give us much details about Baba and Shirdi plus Many quotes of Sai as said by Him in Marathi Language (I read and reread them, though i don't much understand the language and feel happy, picturing how Baba might have said it. 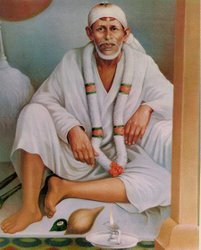 Those books give me a feeling of being in Shirdi when Sai was in body and doing all wonderful leelas (divine play). (Back to little history of earlier post) Well that was forgotten for a couple of days. Something made me think about business of Fast food, which i used to do. Although it originated to help a friend out it was taking turn in a different way. I was told of a place which could be available on rent for the fast food business and in the conversation twice it slept through my mouth that it was place of gold (business wise). 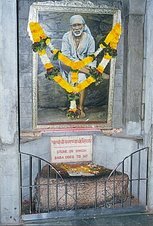 Next day i was meditating in front of Sai Baba picture, eyes closed, letting the divine love of Baba work on whole of the body mind and heart. For about an hour i got frequent visions. I would have vision of Shirdi and a message would come to mind. This is place of Gold.Next the place of business would be seen with a heap of garbage. Next Sai Baba's Samadhi would come in vision and the message would come to mind this is gold, overflowing with gold.And again the place about the business with a heap of garbage. Needless to say the conversation or thought about the business vanished after the meditation. Since i feel the presence of Sai Baba Divine love or the gold so much, i always ask this question to myself when any other drive we human feels try to take over. What is better this or the divine love that fills the whole system (body, mind, heart and more). The answer is always the later one and i love to sit and meditate. 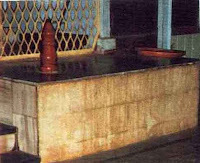 There are few cloth articles i have received from Shirdi and divine energy is felt from it, they have become constant companions. So much so they are around my body even when i sleep and while the sleep comes the awareness is on the energy felt through it. It's like hugging Baba while going to sleep. 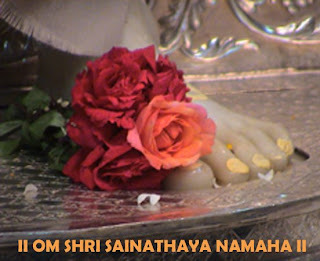 Now the little parable that Sai Baba told to a devotee named Laxman Pradhan as a message to be given to Madhavnath Maharaj. "I've got sacks of gold on a donkeys back. Theives have stolen them on the way. A hole in the ear has to be pierced only by the goldsmith. It is very difficult to pull on, in this naughty world. Tell this much to my brother Madhavnaath." 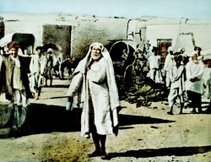 Sai Baba seemed to give the message in the sybolic language as most often done by Him. The gold is again the divine love and knowledge, on a donkeys back ment those who does not realize the value of gold and are quite unaware of the wealth. Even though gold is kept on donkeys back it still would go on bearing the weight out of usual habbit. Thieves, all many worldly desires and anxieties born out it are the thieves that take away that gold. 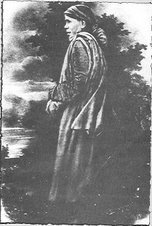 Goldsmith - Certain works have to be done only by those who are capable of doing it. Only a Sadguru is capable of showering the divine love and grace and even Sadguru finds it difficult to do their jobs in this naughty world as there are many lucrative looking thieves preventing the love and grace of Guru. Thanks Alpesh for these brilliant inspirational quotes and thoughts of Shirdi Sai Baba. May Baba bless you to write more such stories and inspire more people like me. Thank you.